embarking on your first Classic purchase? 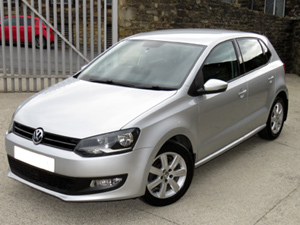 2014 VW Polo 1.4 Match 5dr DSG Auto. Finished in silver with black cloth interior, this sought after quality hatchback features the economical and reliable 1.4 litre petrol engine driving the wheels through the superb DSG automatic transmission. Its covered just 27K miles and is in immaculate condition having been owned and maintained by a experienced VAG trained technician. Excellent specification includes all electrics, aircon, cruise control, parking sensors, media centre with DAB radio, Bluetooth and alloy wheels. This cracking little car is on sale on behalf of my mechanic, and has been his wife's car for the last few years. I may consider taking a Mercedes/Classic in PX for this car if it helps. In Travertine Metallic with Cream Leather. 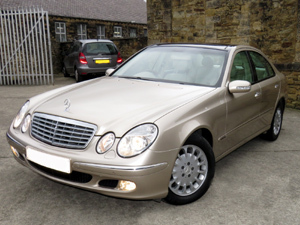 A simply stunning example of a W211 E-Class. Just three previous owners (two of which were neighbours) the vehicle has been garaged most it's life and serviced on the dot either by Main Dealers or respected MB specialists. In immaculate condition both inside and out, with seat covers having been fitted for the majority of the vehicles life. Very high spec includes PDC, climate, cruise control with speed limiter, optional part wood steering wheel and, very expensive optional opening Panoramic sunroof. Click On Vehicle Image For Information Page. Finished in 572 Ruby Red with 265A Beige leather. 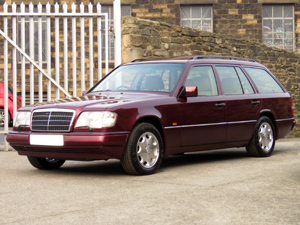 This high specification, two owner flagship W124 Estate was supplied new by Normand Park Lane. It's in incredible condition, and comes with one of the most detailed and extensive service histories I've ever seen with invoices (excluding vehicle sale invoices!) totalling £54,506.67!!!. The usual problems areas (wiring loom, head gasket etc.) have been properly addressed among that. Specification includes EW, electric sunroof, headlamp wipers, full leather, electrically adjusting front seats, remote central locking, cruise control, climate control with ice cold a/c etc. Cost well in excess of £40K when new....in 1996!!. 47K Miles - Colossal History - Absolutely Pristine. 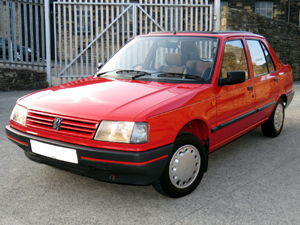 A beautiful, pristine and original Phase 1 Peugeot 309 GLX. Finished in gleaming Cherry Red with Charcoal cloth interior, this is from time when Peugeot made good, strong, reliable cars. It also has to be one of the best preserved (and original) examples I've ever seen (not just of a 309, but of any car of its era), and is accompanied by an equally astonishing history, which is both comprehensive and colossal in equal measures. One owner for 27 years, who kept a record of every single penny spent on the car, including fuel. This is a sure fire show winner, which is great fun to drive, durable, easy to work on and a joy to own.